Lindsays were located at 19-25 Beeson St Leichhardt NSW. These horses were also Blow Moulded Polyethylene Rocking Horses. Like all Polyethylene horses, if you want to paint them you cannot use regular acrylic paints as they do not stick to the plastic. The only two methods is to heat the plastic with a heat gun and paint the heated area before it cools. The pores close trapping the paint. The other method is fairly new since the conception of plastic bumper bars. You can apparently use bumper bar paint which adheres to the Polyethylene nicely. Lindsay’s had two models in their range. 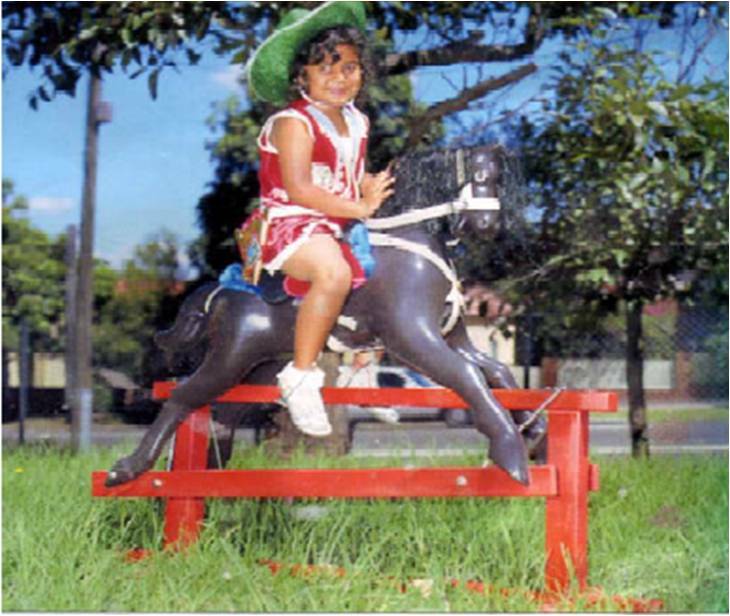 Their Deluxe horses were sourced from Australian Rocking Horse Company and finished in a brown/grey finish. 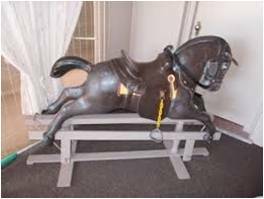 Their other horse was much larger, also Blow Moulded Polyethylene and was called the Lindsay’s Super Deluxe Horse.